A Division Bench of Bombay High Court on Friday sought a response from the Bar Council of India and the Bar Association of Maharashtra and Goa, on a petition demanding that Bar Councils have a 30% reservation for women advocates.The petition, filed by the Bombay Lawyers Association, has now been posted for further hearing next month. The High Court commuted the death sentence of a 23 year old youth, with sentence of ‘double life’ imprisonment, which has to run consecutively. The Court held that even though the crime, committed by the accused was heinous in nature, considering the cumulative effect of the facts and circumstances and on balancing the aggravating and mitigating circumstances of the case, termed that the case doesn’t fit to the category of ‘rarest of rare’ case to be awarded with death penalty. A Division Bench of the High Court set aside the Death sentence of MirzaHimayatBaig, the lone convict in the Pune German Bakery Blast case. The Bench comprising of Justices N H Patil and S B Shukre acquitted Baig for all major offences under Indian Penal Code (including 302 and 120B) and Unlawful Activities (Prevention) Act. The Bench maintained the conviction under Section 474 IPC and Section 5(b) of the Explosive Substances Act and sentenced him to Imprisonment for Life. 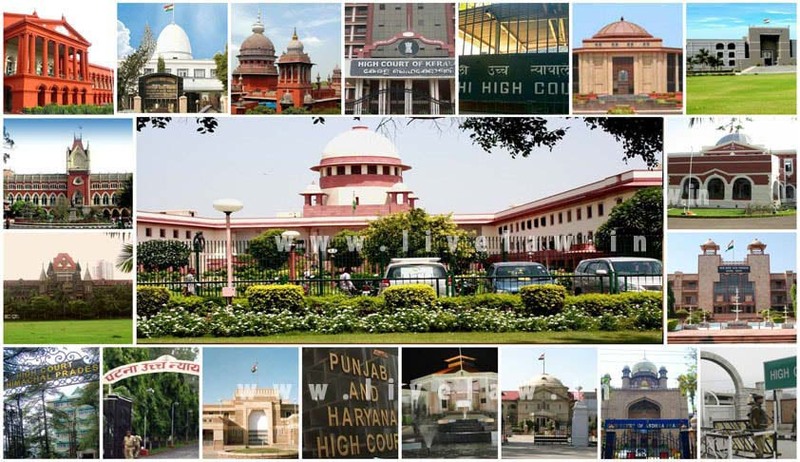 A division Bench of Delhi High Court Today held that Registrar of Cooperative Societies is a ‘Public Authority’ and hence duty bound to comply with the provisions of RTI Act and is required to provide information as provided for under Section 2(f) of the Act subject to the limitations enumerated under Section 8 of the RTI Act. In a Landmark Order the High Court directs Govt. to provide Job to an Acid Attack Victim. In an attempt to bring justice to the victims of acid attacks, the High Court went a step further to acknowledge and support the daily life struggles of their lives. The High Court of Gujarat ruled that a father is not liable to provide maintenance u/s 125 Cr.P.c to his male child beyond age of majority,unless he suffers from any physical /mental abnormality and unable to maintain himself. Disposing of a bunch of Writ Petitions, Karnataka High Court on Thursday quashed the Karnataka Motor Vehicles Taxation [Amendment] Act, 2014 as unconstitutional and ultra vires. The Amendment Act levied a lifetime tax on motor vehicles registered outside the State of Karnataka, in case they have been in the State for a period exceeding thirty days. The High Court decided to close all proceedings against cine actor, Mr Mohan Lal booked for unauthorized possession of four elephant tusks in his custody. The High Court Division bench setting aside the judgement by the single Judge ruled that the Information officer is not required to furnish Information which requires drawing of inferences or making assumptions. The High Court directed the CBSE to consider a batch of Latin Catholic Student’s plea to change the Examination scheduled on 26/03/2016 which is an Easter Saturday. A Full bench of the High Court ruled that Regulations prescribed by University Grants Commission (UGC) for appointment to the posts of principals and teachers in various universities and affiliated colleges have to be mandatorily followed. The M P High Court recently upheld the Constitutional validity of the Mines and Minerals (Development and Regulation) Amendment Act, 2015 and disposed a bunch of Writ petitions.